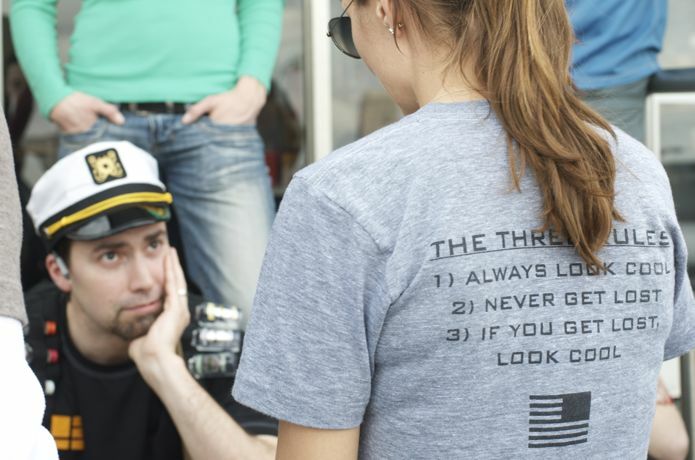 GORUCK has seen tremendous growth as a company over the last few years. Their unusual business model of creating gear as well as team building events makes them one of the most unique companies in either of these two seemingly unrelated industries. As their incredibly diverse customer base grew, it was only a matter of time until people began requesting products that extended beyond their active/recreational life. By their own admission, GORUCK’s long awaited shoulder bag has been the single most requested product offering in the company’s history. Even those of us who don’t mind a little dirt on our GR1 rucks want to carry our laptops and portfolios into the office with something that “dresses up” a bit more than a backpack does. So, after what I imagine were a number of prototypes and changes in direction, GORUCK has finally brought their laptop bag to market. Let’s take a look at how things shaped up by way of this review of the 15L model. I sometimes wonder if I should just leave this category out when reviewing GORUCK gear. GORUCK builds bombproof gear. That’s what they do. While this bag is obviously far less likely to endure the amount of abuse that their packs and sandbags do, the product is built to the same standard. The inside of the bag is a sand or coyote color. I wasn’t crazy about this color combo of sand on black at 1st, but I must admit it’s grown on me. It certainly brightens up the interior of the bag. GORUCK’s usual recipe of abrasion resistant Cordura, strong reinforced stitching, top notch zipper pulls and a clean, minimalist design have all been brought to the table for the creation of this piece of gear. I have no doubt that this product is built tough enough to be the last laptop bag I’ll ever need to buy. The shoulder strap also features tough, metal buckles which are not prone to the cracking and bending that can plague lower quality clasps. The bag also features a padded back, where the product sits against your body, and a very well padded laptop compartment to keep your equipment safe. All in all, the build quality is what we’ve come to expect from GORUCK: exceptional. The 15L bag is compact, but has plenty of room for all of the above. I bring water with me everywhere… “the importance of staying hydrated”! I was pleasantly surprised how perfectly my GORUCK vacuum bottle loaded into my bag next to my portfolio. This works out perfectly for me. The laptop compartment is, as I said, very well padded. It’s a perfectly executed pouch for carrying a laptop. My laptop is a 14″ model, but the bag could easily house a larger computer. There are a number of internal zipper pouches of varying sizes that are well suited for organizing accessories, AC adapters, etc. Herein lies the only negative commentary I can offer on this bag – the accessibility of those pouches. One of the features that, in my opinion, makes GORUCK’s packs the best packs money can buy is their full length zippers. GORUCK’s packs zipper open to lay completely flat, making loading and unloading the packs incredibly easy. Here’s an example. GORUCK chose to run the main compartment zipper on their Shoulder Bag down only a fraction of the length of the bag. This decision makes utilizing the lower zipper pouches on the inside of the laptop bag somewhat cumbersome. This choice was undoubtedly made to allow implementation of the MOLLE webbing that is featured on most GORUCK products, or was done to create a product with a top-loading zipper instead of a flap and buckle. While the webbing adds a nice rugged aesthetic touch to the bag, it’s arguably far less useful on their laptop bags than it is on their rucks. I would have preferred to sacrifice one row of MOLLE for greater access to the bag. Any choice to open up easier access to the bottom of the main compartment would have been welcome here. Make no mistake about it: GORUCK is a “premium” brand that charges premium prices for their gear. They make better equipment than the vast majority of their competitors, they stand behind their products to a degree that is exceptionally rare these days, and they charge for the privilege. That being said, it seems that they are finally getting big enough to take advantage of some of the “economies of scale” that their larger competitors enjoy. Some of GORUCK’s recent product releases have been introduced at more aggressive price points than many longtime GORUCK customers are used to. Their sandbags come to mind, and now their Shoulder Bag line. At $195 the 15L Shoulder Bag ain’t cheap, but those of us who were introduced to the bags at GORUCK Nasty in September were expecting a higher price point, similar to their GR2 rucks. $195 buys you the last laptop bag you’ll ever need to buy. It will keep your computing equipment dry in even serious rain storms, and will protect it from fairly substantial bumps and drops with it’s build quality. If you can stomach GORUCK’s pricing, you get gear that will last a lifetime. The 15L GORUCK Shoulder Bag may not be perfect, but it’s an exceptionally well built product that will serve you well. It also allows you to adhere to Rule #1, even when you’re on the job! This is another rock solid product from GORUCK that is guaranteed to last a lifetime. GORUCK’s Shoulder Bag Line can be found here. Thanks Jess – much appreciated! Love their gear. Appreciate the write up. I was waiting for a review to drop and right on. Just waiting for them to be back in stock.